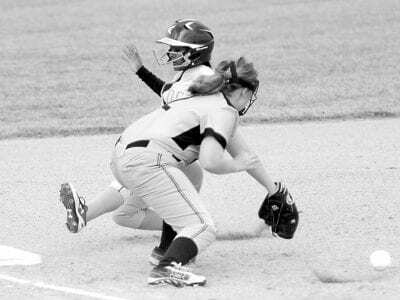 Alexa Wilson fields the ball at third base and throws the runner out at first earlier this season.– photo by Mario GomezThe Archbold softball team played five non-league games last week, winning two a… Sorry! This content is only available to paid subscribers at this time. Please login below, or consider purchasing a subscription today! 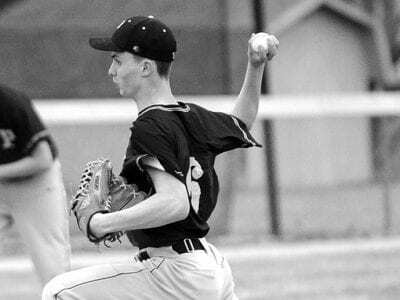 Josh Horning delivers a pitch in Pettisville baseball action.– photo by Mario GomezThe Pettisville baseball team suffered two losses last week to drop to 0-4, 0-3 in the Buckeye Border Conference. Nor… Sorry! This content is only available to paid subscribers at this time. Please login below, or consider purchasing a subscription today! 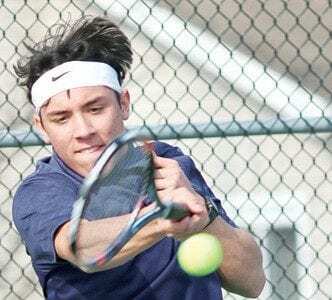 Archbold won both doubles matches but Anthony Wayne won all three singles matches to defeat the Streaks 3-2, Friday, April 5, in boys tennis action. Singles: 1. Austin Swiger (AW) def. Josiah Kindinge… Sorry! This content is only available to paid subscribers at this time. Please login below, or consider purchasing a subscription today! 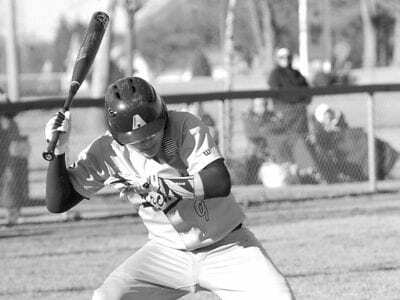 Holden Galvan avoids a wild pitch in an early-season contest.– photo by Mario GomezThe Archbold baseball team won five non-league games last week to improve to 6-1 on the season. AHS 17, Hilltop 0 Th… Sorry! This content is only available to paid subscribers at this time. Please login below, or consider purchasing a subscription today! 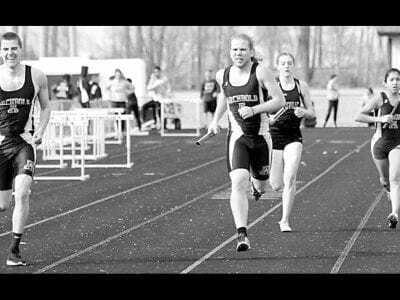 Blue Streaks Austin Roth, Caden Garrow, from left, and Karley Ramirez, far right, run the 4×800 boys and girls relays in a tri-meet at Pettisville, Tuesday, April 2.– photo by Beth FoorBoth Archbold b… Sorry! This content is only available to paid subscribers at this time. Please login below, or consider purchasing a subscription today! 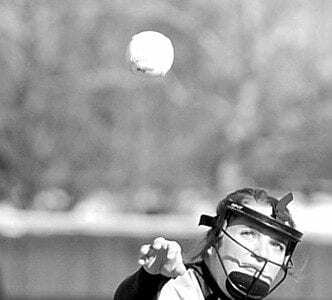 Kaylee Grimm fields the softball at third base against Montpelier, Thursday, March 28.– photo by Mario GomezPettisville (0-4) was defeated by Wauseon 20-0 in five innings, Friday, April 5, in non-leag… Sorry! This content is only available to paid subscribers at this time. Please login below, or consider purchasing a subscription today! 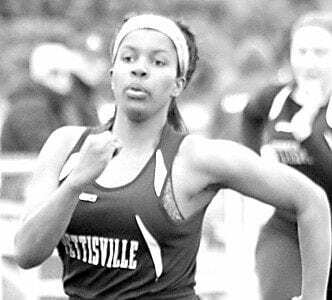 Pettisville’s Xavia Borden, left, was the winner of the girls 100-meter dash in a tri-meet with Archbold and North Central, Tuesday, April 2, at Pettisville. Right: Quinn Wyse runs a leg of the boys 4… Sorry! This content is only available to paid subscribers at this time. Please login below, or consider purchasing a subscription today! Pettisville Track Monday, April 1 at Pettisville Girls Liberty Center 92, Pettisville 29 100 hurdles: 2. Isabella Strauss 22.4. 100: 3. Ella Richer 15.4. 400: 2. 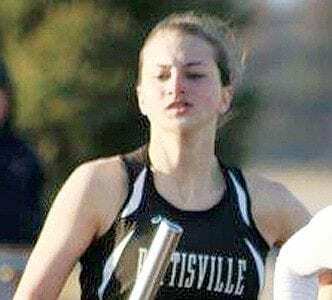 Elise Hoylman 1:09.3; 3. Allison Salm… Sorry! This content is only available to paid subscribers at this time. Please login below, or consider purchasing a subscription today! Josh Kidder was the only Blue Streak to get a victory against Bryan, Thursday, March 29.– photo by Mary HuberBryan defeated Archbold 4-1, Thursday, March 29, to drop the Streaks to 1-1 in boys tennis … Sorry! This content is only available to paid subscribers at this time. Please login below, or consider purchasing a subscription today!